Apart from what was no my homework list, courtesy of “Bourgogne Romane”, I had found (in my newly acquired travel guide) some more thing to be visited. Those places were in Cher (18) Bourges and Noirlac, and in Indres (36) La Berthenoux and Vic. 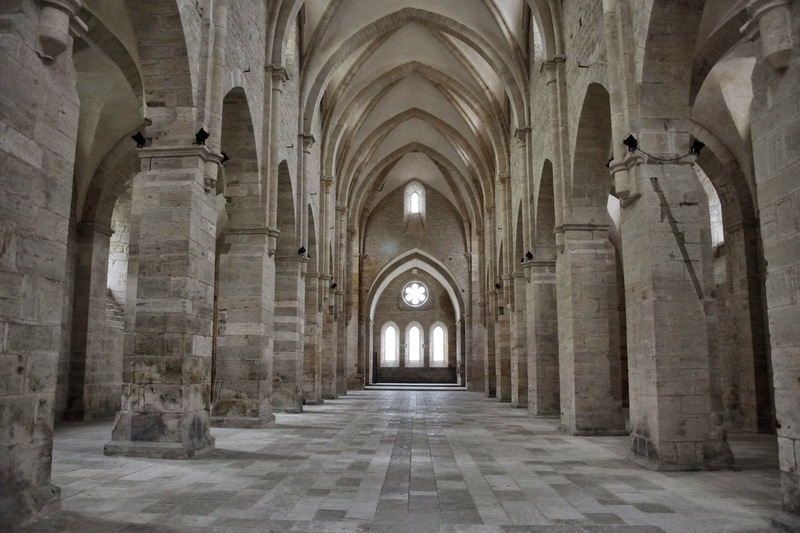 We had planned Bourges (18) for an outing with the three of us, and that was an excellent choice. 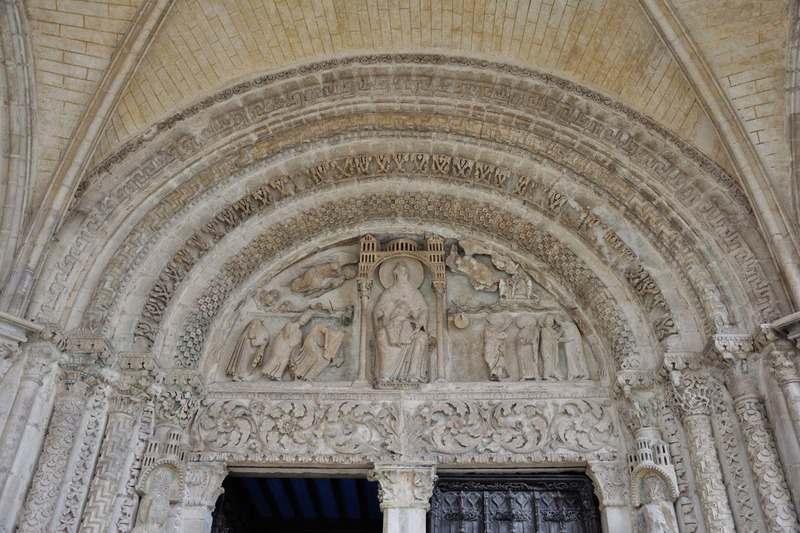 The centre of Bourges is interesting, with lots of half-timbered houses, and also the gothic cathedral, with a Romanesque tympanum was more than worth the visit. A pity it was so cold that day! Noirlac (18) we visited the same day; the Cistercian abbey there is still in reasonably good state. Although not as impressive as the three sisters in Provence (Le Thoronet, Sénanque and Silvacane), the sobriety and simplicity of these huge complexes always impresses me. Vic (36), part of Nohant-Vic, turned out to be a golden find. 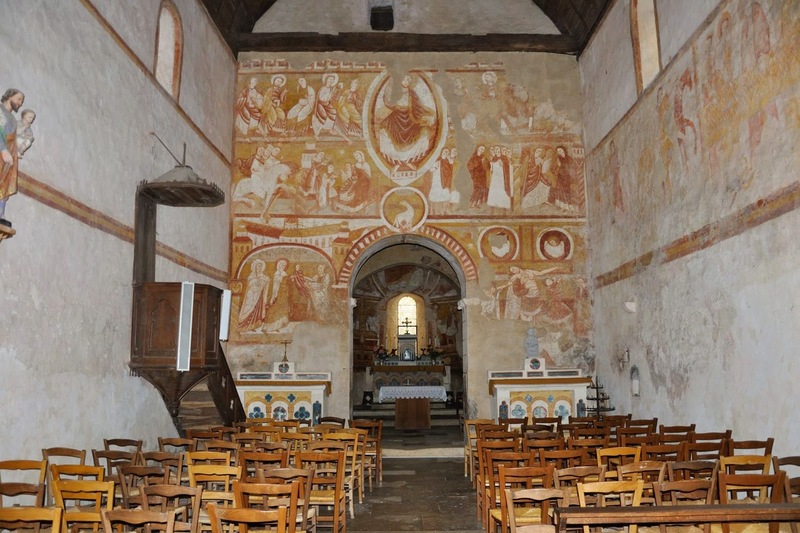 The church boasts an impressive collection of frescoes, covering the walls of choir and apse almost completely. The frescoes were only discovered in the 19th century, and George Sand, who lived in a château nearby, has seen these frescoes just after they had emerged from under a layer of plasterwork. 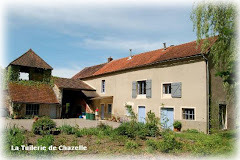 La Berthenoux (36) boast a number of interesting capatals, and has two very narrow passages berrichons (resp. 45 and 60 cm wide). We have spent only four days in this area, but in those four days we managed to see quite a lot of interesting things! In the past I have published a number of blogs dedicated to a number of interactive maps, all based on various pages of website “Bourgogne Romane”. Below I have summarized everything. The link to the relevant page of “Bourgogne Romane” is given in the caption of the pictures of the maps. 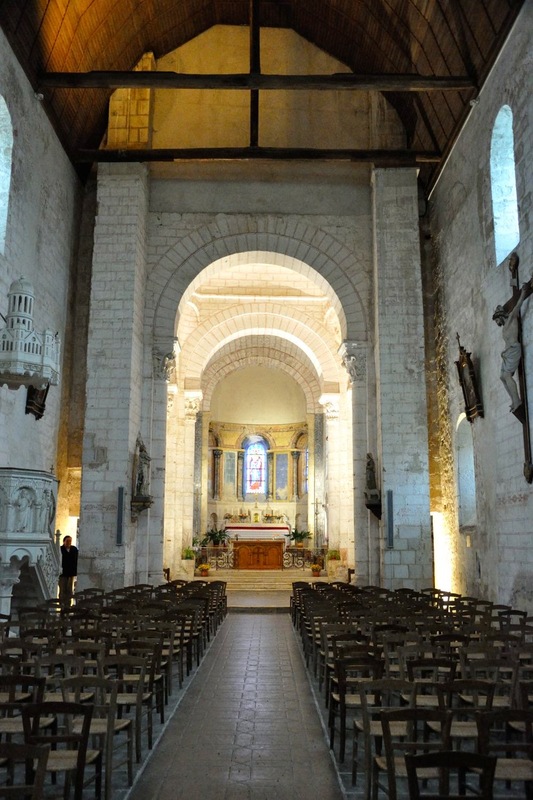 The maps above also contain links to a modest selection of churches in the departments bordering Burgundy. The links are recognisable as traffic signs for max. speed limits, where the "speed" is the number of that department (03, 69, 42, etc.). 2. Pages with a very restricted choice from available material (no attempt to completeness).